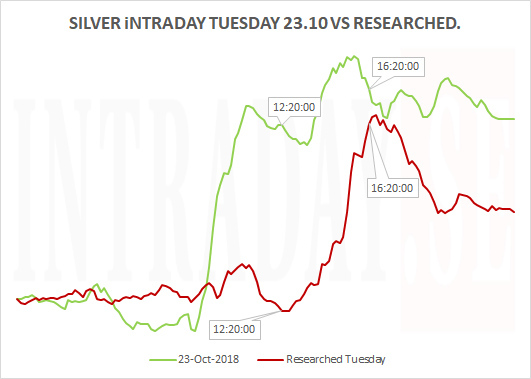 Silver Monday 29th and Tuesday 30th. 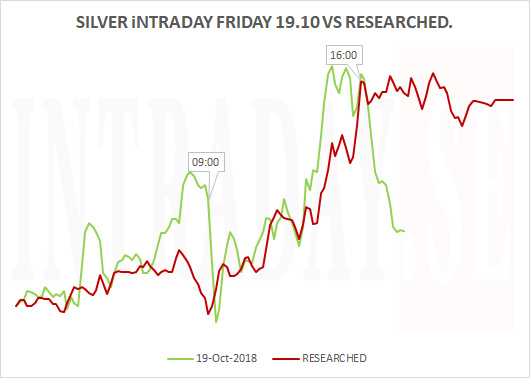 Silver found support 11th of September @ 13.95. 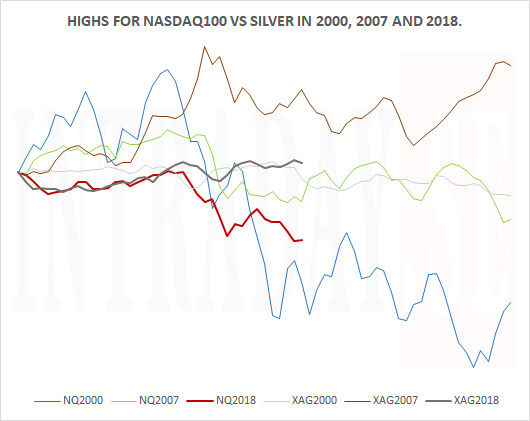 Since October 1st, when the Nasdaq100 hit its all time high, the white metal has held up quite well. 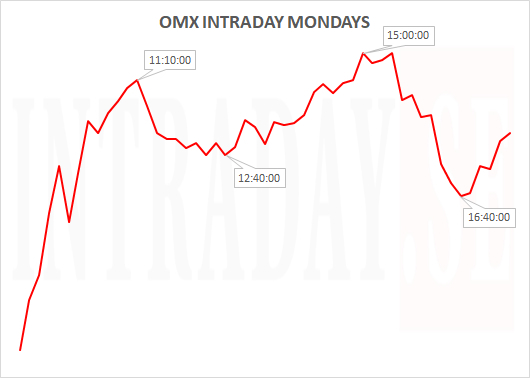 See daily chart below. 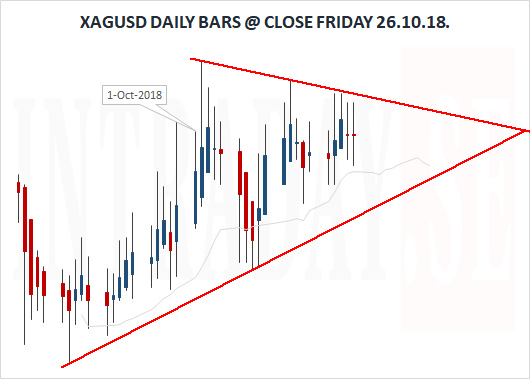 According to the daily bars, there is still room to move inside this rising wedge before a potentially explosive move..
Silver has been positive now for 35 tradingdays. 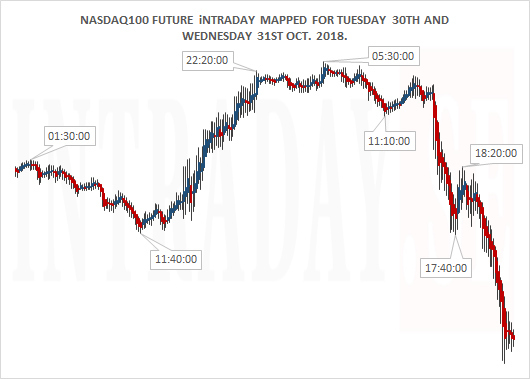 Looking to this upcoming tradingweek, the researched and mapped chart looks like this for the first two intradays Monday and Tuesday. Times sited are in CET. Interestingly, The timewindow 16:40 could be clearly significant for both days! 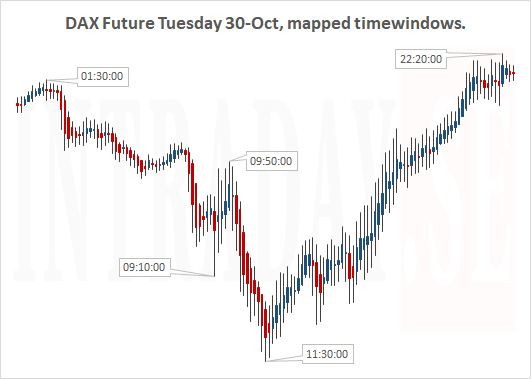 Remember that timewindows may be inverse for price to what you see, and it may also excellerate an already existing trend. 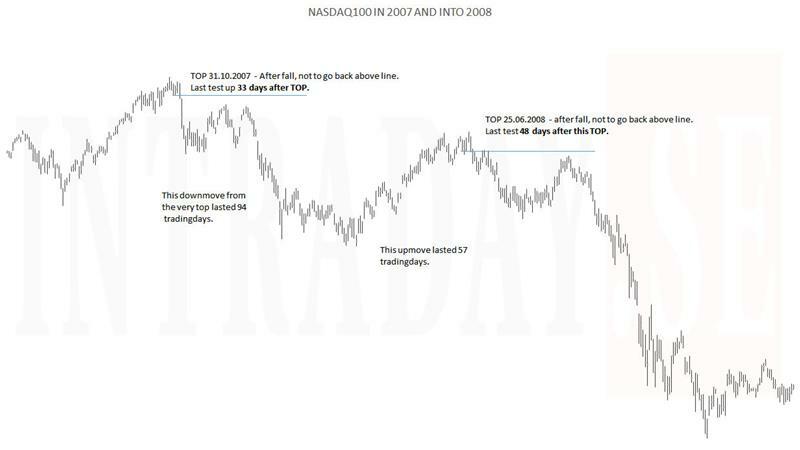 - Do always keep a relevant stop loss in place. A clearer and lager chart can be viewed here. 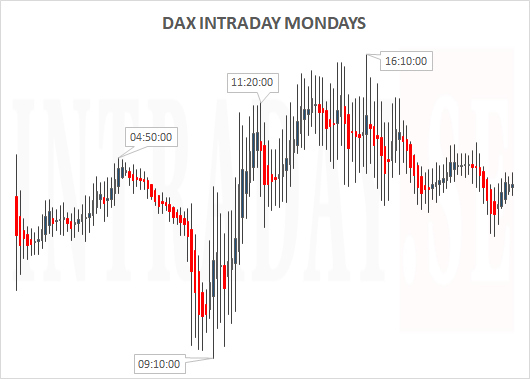 Lately, Monday is the weakest intraday of the week, and Tuesday the strongest - ahead of Thursdays..
Have a nice tradingweek : ). Gold Thursday 25. & Friday 26. 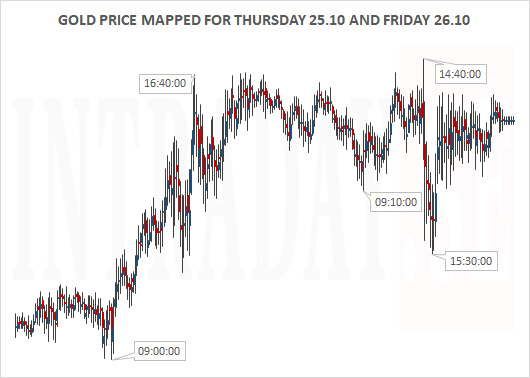 This week you see the Goldprice for Thursday and Friday mapped together in this one chart below. 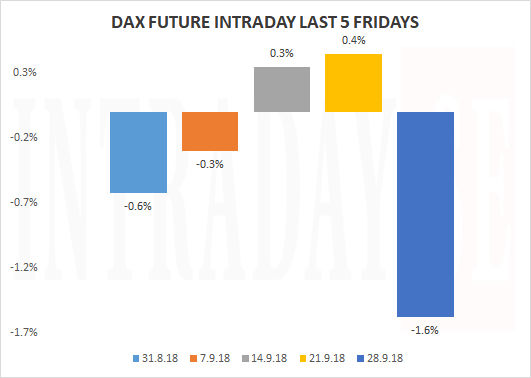 The last couple of months shows generally a weak intraday Thursday and a stronger session on Friday's. 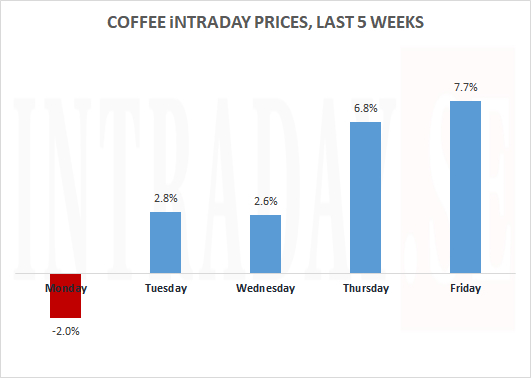 The strongest day of the week lately, is Tuesday's - by far. Wednesday's are the weakest of all. 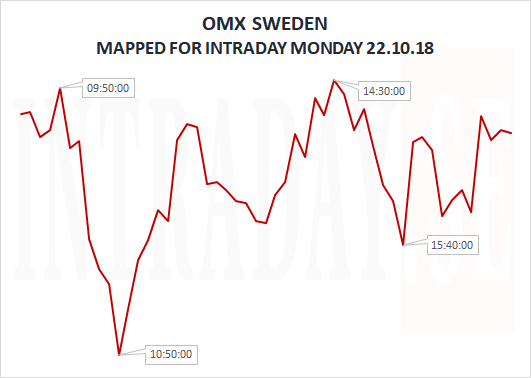 Looking at the chart displayed, it seems there could be a greater reaction to price from around 09:00 AM CEST Thursday morning running into the afternoon - thereby more sideways to down pattern to about US. 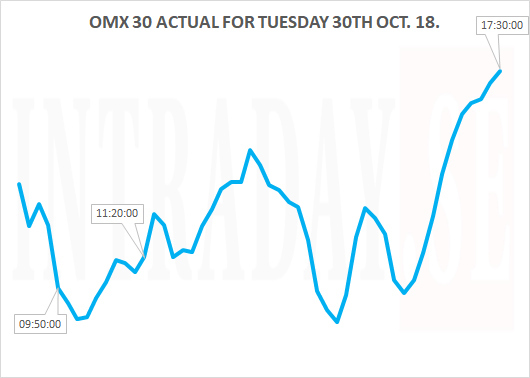 Opening bell, for then to close the Friday slightly higher than it started. Only time will show if this turns out to be true. 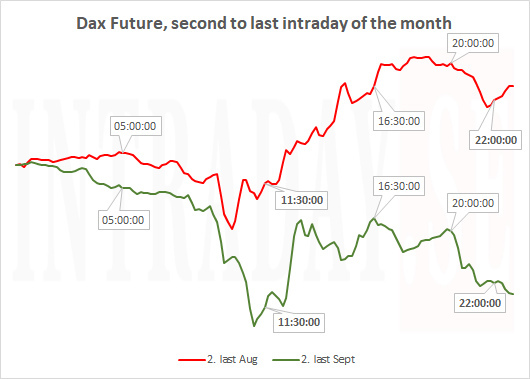 Above is a 10 minute bar chart sited in CEST times. A more clear picture of this 2-days chart can be viewed in a greater large format here. 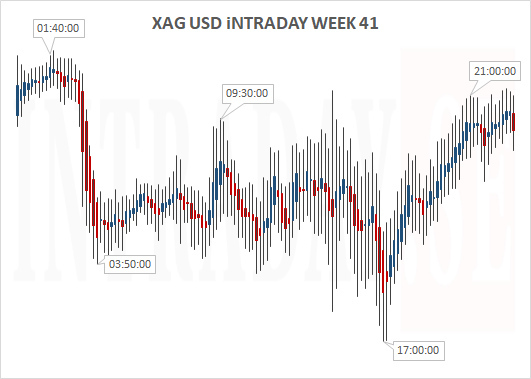 ..And the actual intraday Goldprice development for Thursday and Friday is here. 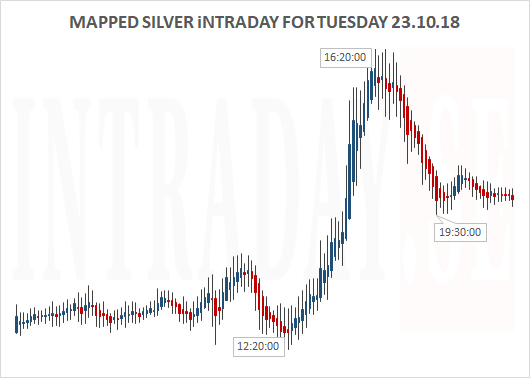 Here is the mapped intraday Silver action for tomorrow Tuesday. A major turningpoint is sited around 12:20 CEST, and then about 16:20 running into 19:30. The chart is a 10 minute bar chart. 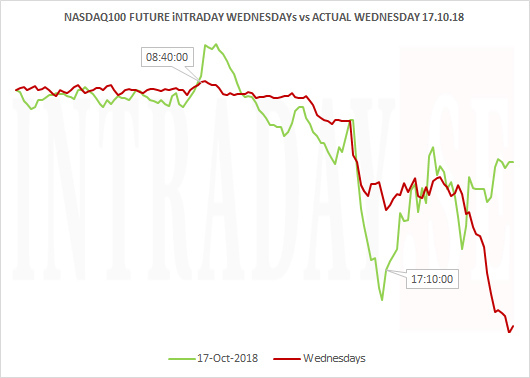 ..and below is the actual result for the intraday traded Tuesday 23.10.18..
As this chart shows - There is clearly a momentum play the 23rd (Green line), which is quite similar to the researched and mapped graph (Red line). 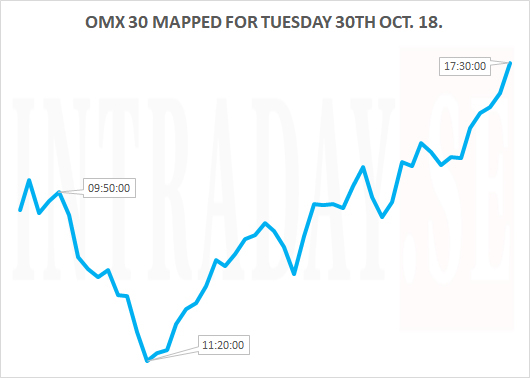 The latest LOW for the upmove this Tuesday occured approx. 4 hours eariler (08:20) than mapped (12:20). Even though - following the post set timewindows produced + results. 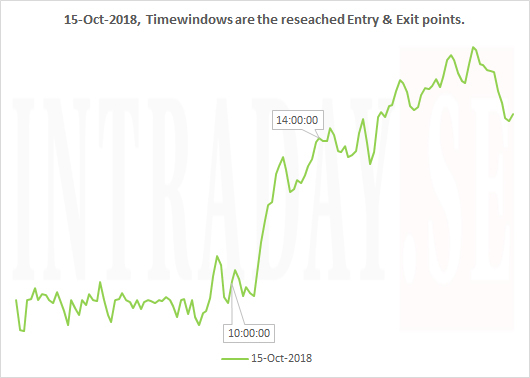 The timewindows above are illustrated in CEST times. 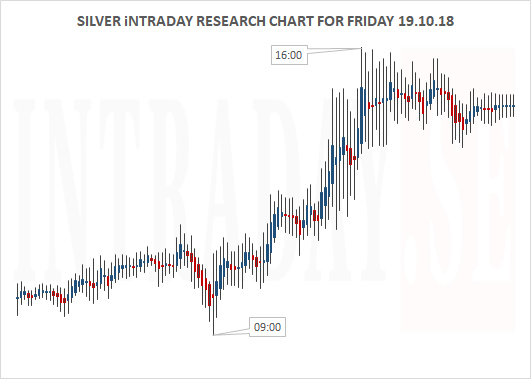 A 7 hours strongly trending Silvermarket could potentially start from the turn around 09:00 to last until about 16:00. What happens through the early European morning and after normal workhours seems to be very little. 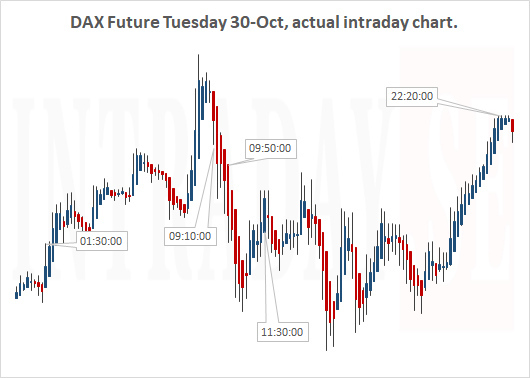 Always remeber that an inverse trending chart would be viewed oposite. Always keep a preferred stop loss in place. ..And below is the actual outcome of this Friday. The two main point for today were 09:00 and 16:00. 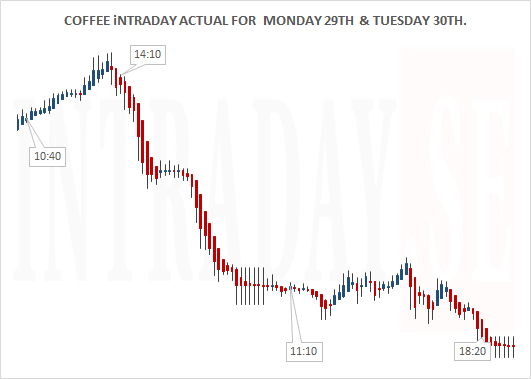 This long trade (with a 0.15 stop loss) acheived an ok profit as shown through the chart. 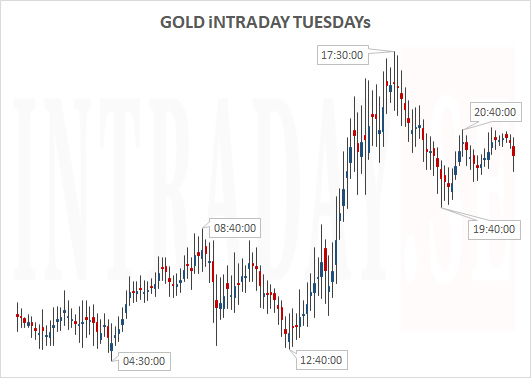 The Gold price intraday for Tuesdays is displayed below. 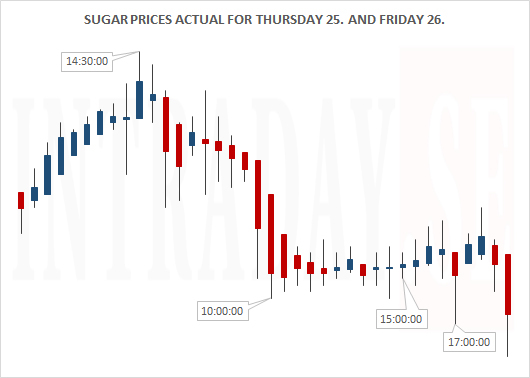 This chart is created based on the last Tuesdays price behaviors, and worth a look pre tomorrows priceaction for Gold. 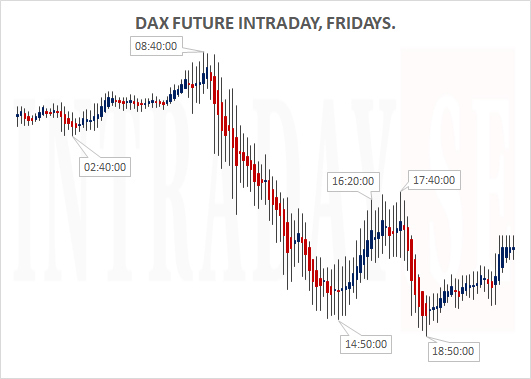 Always remember that movements can be inverse to what you see, and that timewindows could be important for the very next move. For ex. 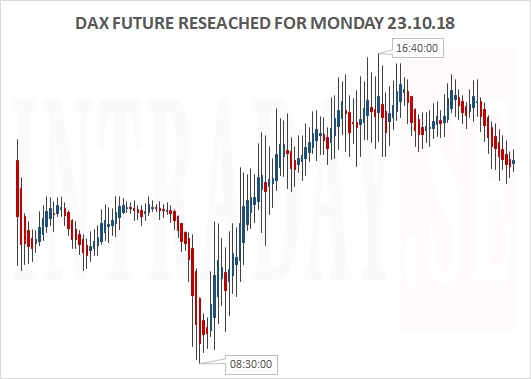 : - Looking at the graph above, 12:40 PM (CEST) could be a relevant timewindow to go long Gold tomorrow Tuesday, for then to be exited around 17:30. 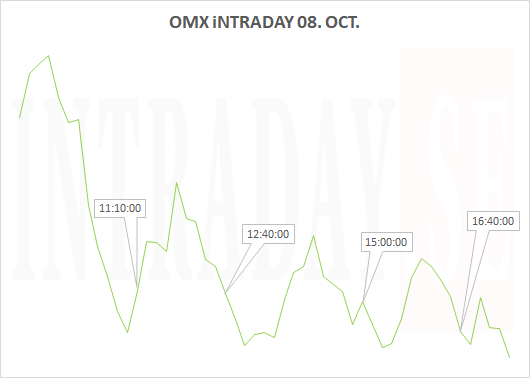 If there instead is an inverse play going on, the opposite could be praticed with a sell order at 12:40, followed by a buyback order to exit at 17:30. 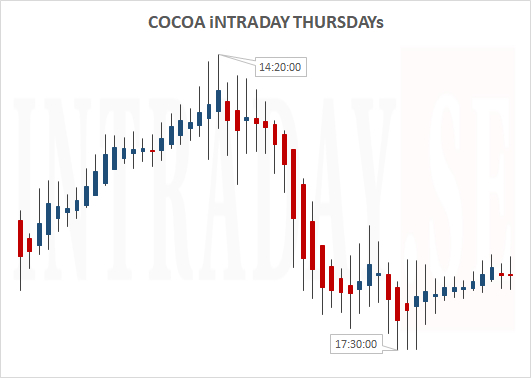 A preferred tight stop loss should be implimented at entry in both instances. 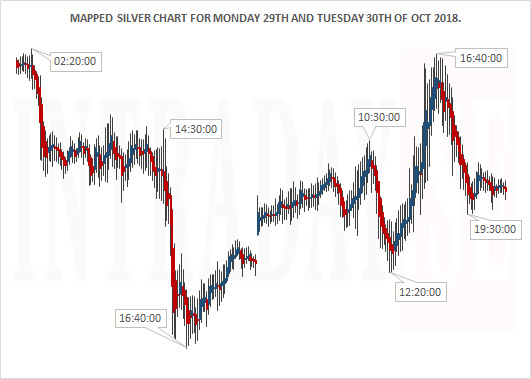 - This is how this passed week behaved intraday for the Silver price. The white metal started and ended the week unchanged @ USD 14.63 on a potentially weekly key reveral. As markets see Gold and Silver move strongly to the upside yesterday, here is the daily development of Platinum to Gold. 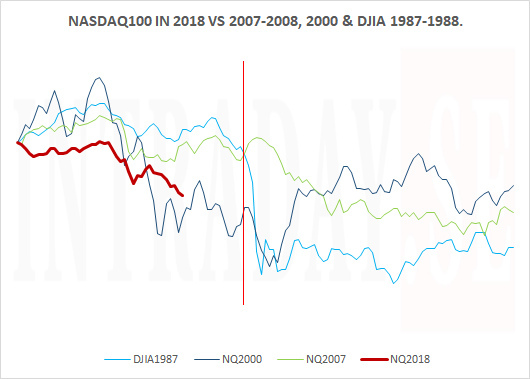 Its lowpoint, since at least the 1990's, was this July and retested Friday 07. 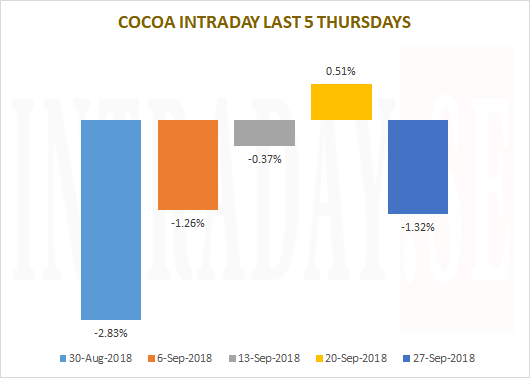 Sept at 0.65. The ratio is now attempting to technically break to the upside of the horizontal resistance line. 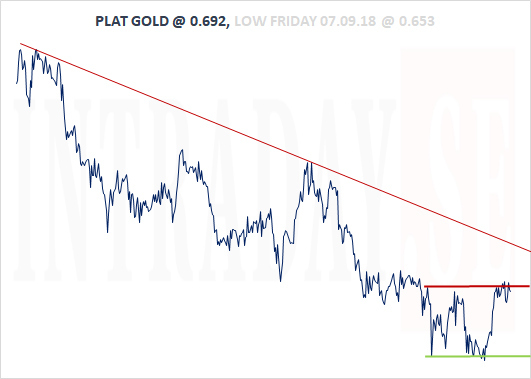 Longer term, holding some Platinum over Gold could be an interresting play? 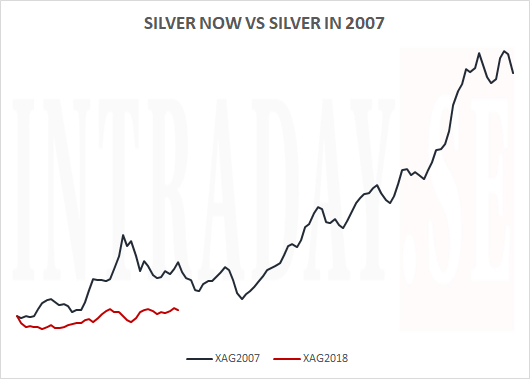 How is Silver holding up at stockmarket tops? 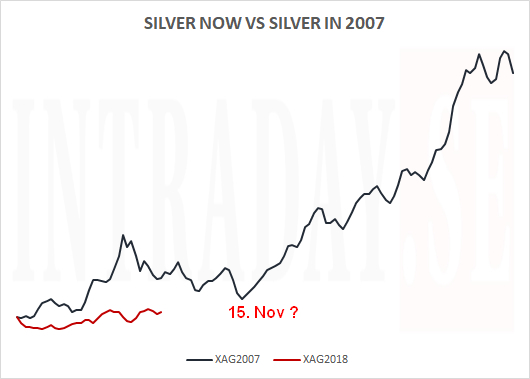 Does the price of silver fall in tandem with Nasdaq100 index? 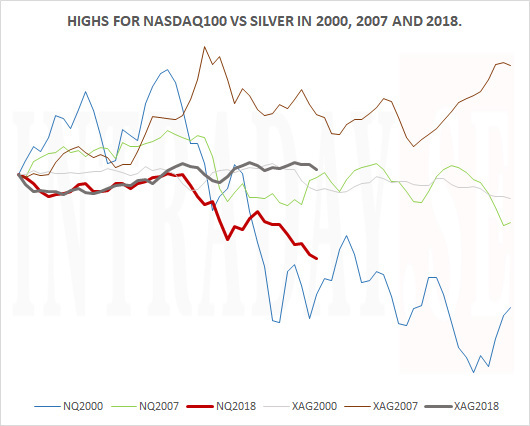 The chart displays the development of Nasdaq100 vs the price of Silver in conjunction to the 2000 top, the 2007 top, and present market conditions. 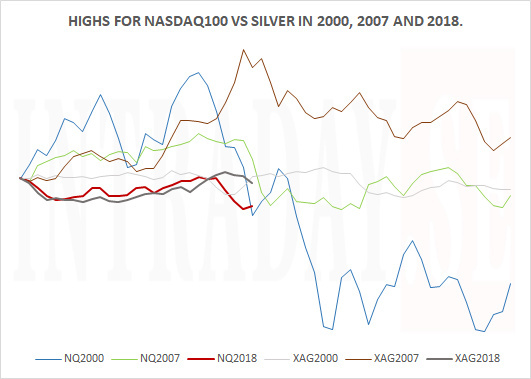 As the chart above shows, the price of silver does hold up quite well compared to Nasdaq100 when the index tops in 2000 and 2007 (and so far in October). 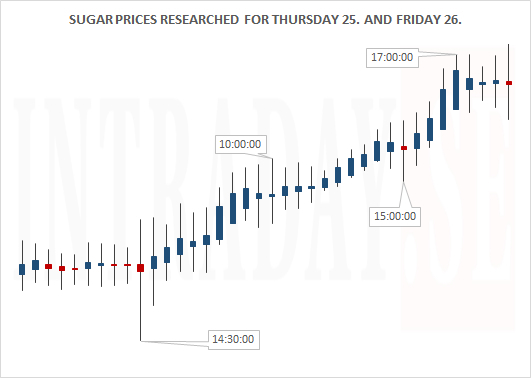 The graph shows data for 20 tradingdays pre its respective tops, and 35 tradingdays post its tops. The table above shows you how Silver vs Nasdaq100 developes post its major 2000 and 2007 peaks vs now. 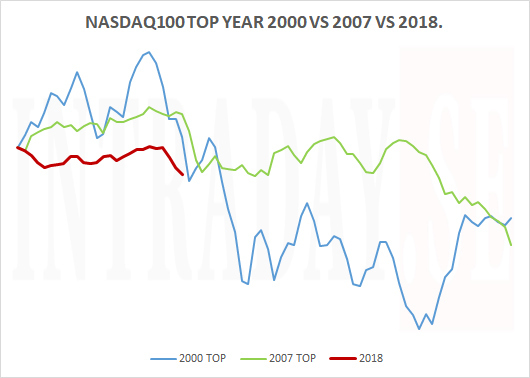 Yesterday, Nasdaq100 was down 3.8% from the present top 7 tradingdays ago. Silver in comparison is down 1.3%. See table. 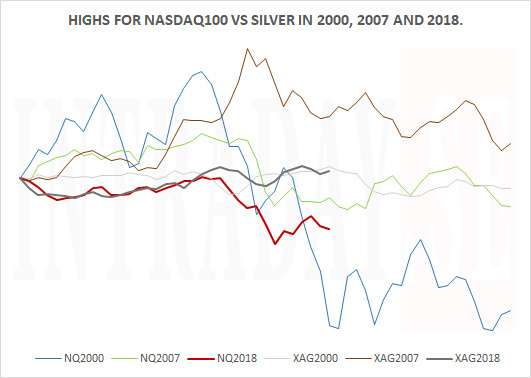 For the upcoming 8 tradingdays, the table could give some clearance to the potentially further price developments in Silver vs Nasdaq100 in retrorespect to earlier market peaks. 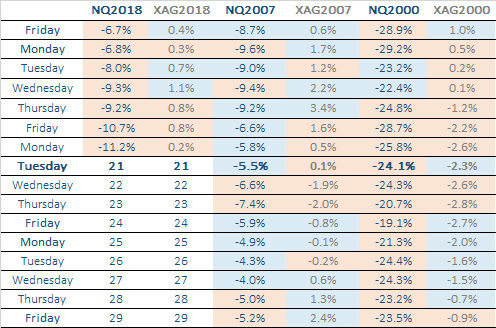 The table concludes, that Silver does hold up much better than Nasdaq100 for the two earlier stockmarket peaking periods. 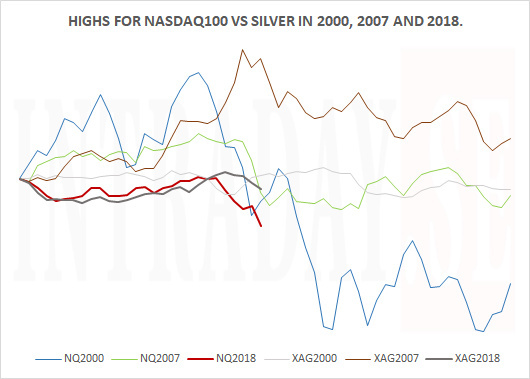 If similar patterns emerge now, markets should prefer holding Silver rather than Nasdaq100 going forward. 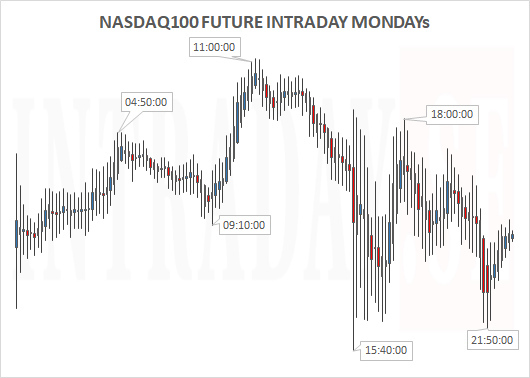 Nasdaq100 Future index for Mondays. 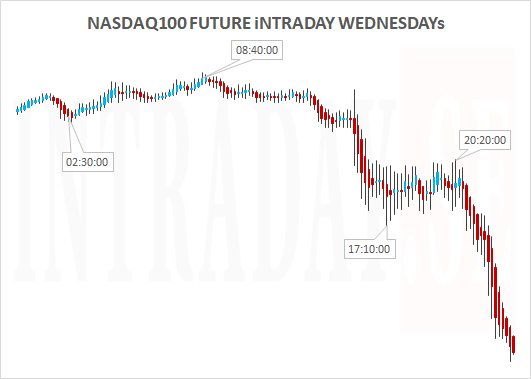 If this is a proxy of the future index for todays intraday moves, you want to look out for a turnaround around 11 o'clock lasting at the most until about 10 minutes into the US trading session. 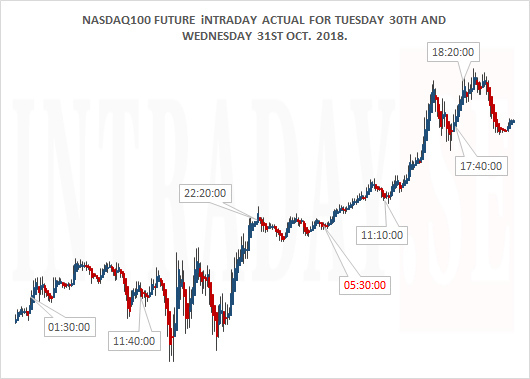 Note that a major high or low (as the one we see afor 11:00) could well be a halting timewindow for further accumulation and a continuation of an exsisting trend. Always to kee stop loss in place. We then see a move from 15:40 to about 18:00. 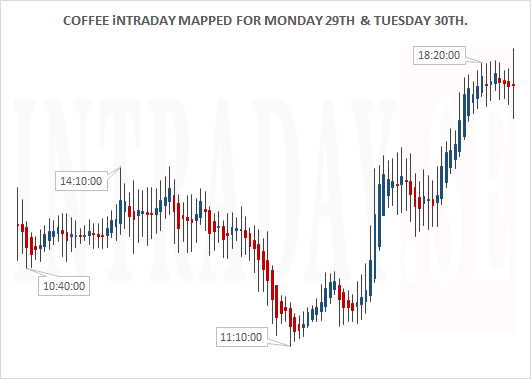 -Then turn around and trend to ten minutes before session close. 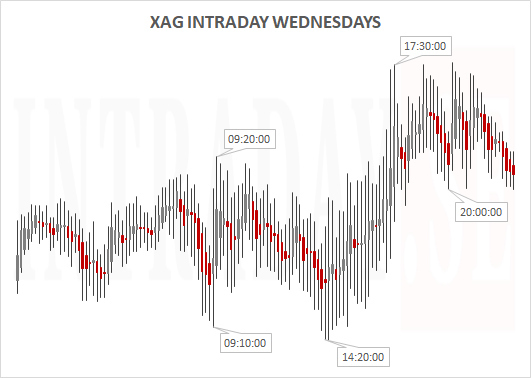 Silver intraday for Wednesdays displayed. 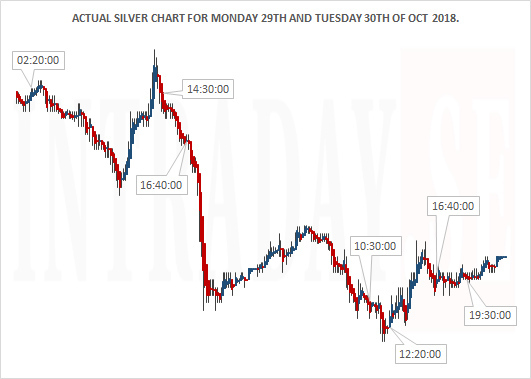 According to the last 5 midweek tradingdays, Silver tends to move sideways until European afternoon time, and then react sharply from about 14:20 to 17:30 (GMT + 1HR.). 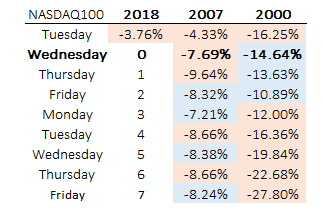 4 of the last 5 Wednesdays have closed higher.